One of my favorite parts about going to the beach in Ecuador is eating fresh ceviche (or cebiche) from the ceviche carts. Yes, I know this sounds risky, but I’ve had the best ceviches from the vendors on the beach. 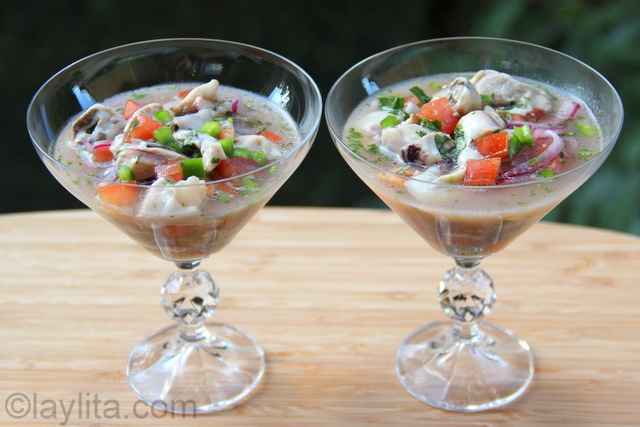 My favorites, probably because they are less common outside of Ecuador, are ceviche de concha, made with Ecuadorian black clams, and oyster ceviche. 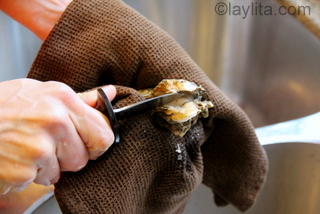 One of the highlights of these ceviche carts is watching them make the ceviche right in front of you: the vendor opens a huge oyster with a knife, puts it in a bowl with the juices, and then he cuts it up right in the bowl. Next he squeezes fresh lime juice over the chopped oyster, then adds lime marinated onions, diced tomatoes, diced bell peppers, chopped cilantro, a little bit of oil, salt and if you want it some ketchup and/or mustard. I usually pass on the mustard and only add the ketchup to shrimp ceviche. But, the great thing is that you can customize it as they make it for you. 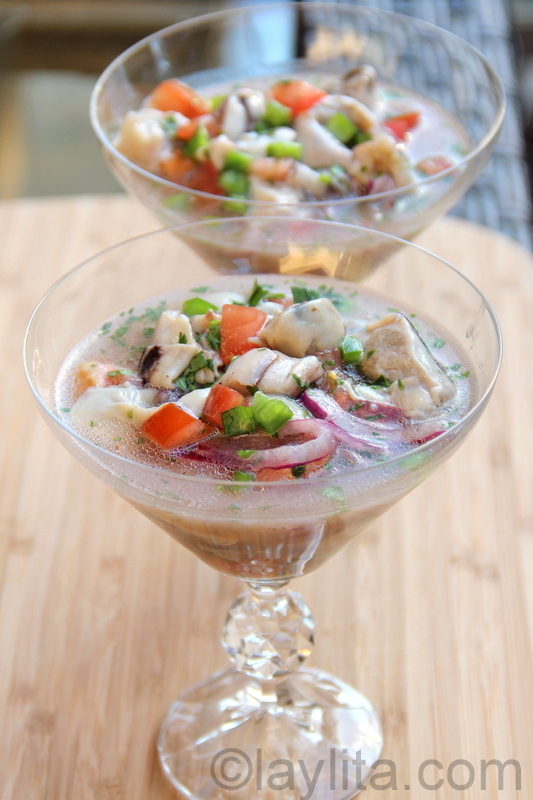 You can also have a ceviche mixto and add octopus, shrimp, fish (already marinated and cooked in lime juice), etc. 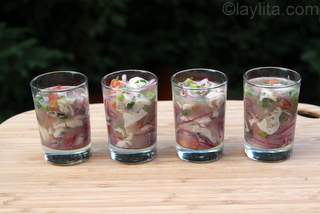 My mouth is watering just remembering the flavors and the freshness of those beach ceviches! 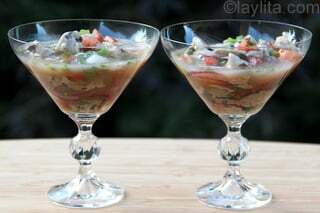 Mouthwatering oyster ceviche recipe made with fresh oysters, lime juice, onions, tomato, bell pepper, cilantro and oil. Soak the onion slices in one cup of cold water with 1 tsp of salt, rinse and drain well. Marinate with the juice of 1 lime. 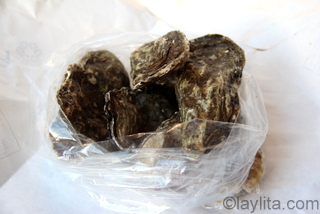 Remove the oyster meat from the oysters, saving the oyster juice, and chop the oysters into small cubes. 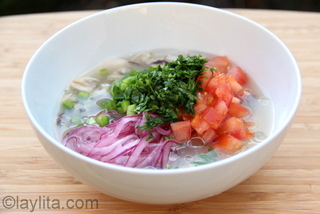 In a medium sized bowl combine the chopped oysters, the oyster juices, marinated red onion, diced tomatoes, diced bell peppers, lime juice, finely chopped cilantro, oil and salt to taste. 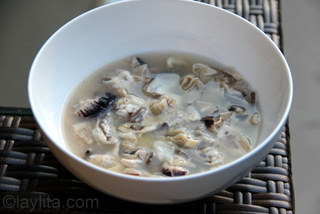 Let marinate in the fridge for about 5-10 minutes and serve immediately. Given that it’s oyster season here in the Pacific Northwest I decide to recreate the oyster ceviche from the beach cart vendors in Ecuador. The only difficult part of making this ceviche is opening the oysters, but my husband help put together an easy set of instructions for opening oysters. 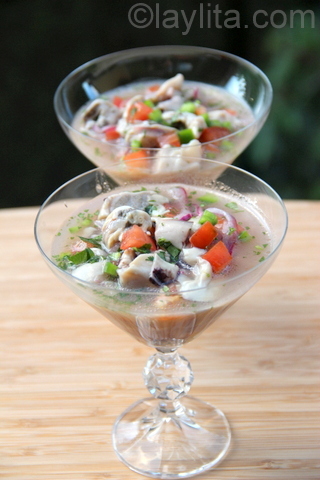 Oyster ceviche should be marinated for a short time, no longer than 10 minutes, mainly just to allow the flavors to blend together. 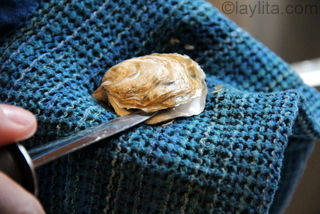 This is why the quality of the oysters needs to be same as if you were eating the oysters on the half shell. 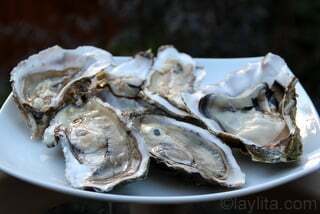 The oysters in Ecuador are huge, only one is needed per person; for this recipe I used large Pacific oysters and used 3 per person, use more if you are serving the ceviche as a main meal. I use either sunflower oil or light olive oil for ceviches, some people have asked why I don’t use regular olive oil and it’s because I find that it overpowers the seafood. This is my personal preference, so feel free to use regular olive oil if that works for you. This oyster ceviche is so good and was gone very quickly. It can be eaten alone or accompanied with chifles or very thin green plantain chips, patacones or thick green plantain chips, tostado corn and/or popcorn. You can also add some hot sauce if you like it on the spicy side. 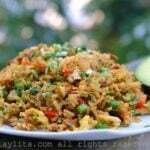 This recipe is for a medium sized portion for 2 people, you can stretch it to 4 people as a small appetizer sample. 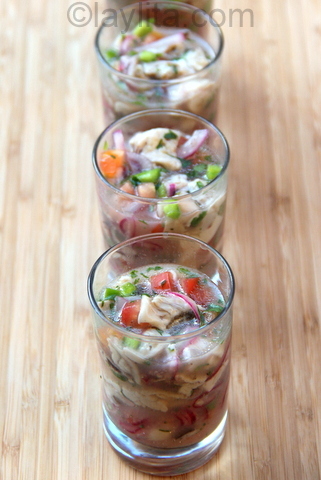 The entire ceviche could also be eaten by one hungry Ecuadorian (who doesn’t like to share oyster ceviche). Yo soy de Nicaragua y también se encuentra la concha negra. Es spectacular en ceviche. 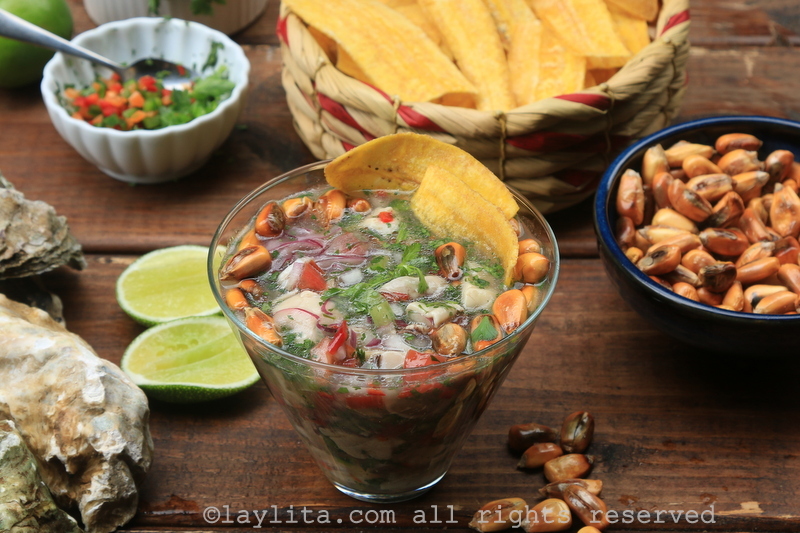 Yo soy de la misma opiñon que el ceviche hecho fresco en la playa es un sueño. This looks really good and tasty, Thanks for posting this item. I need to know about all your Recipes how many people it will serve,thanks.CB. 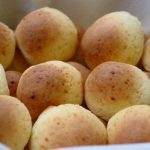 This recipe is for 2-4 people, depending on how it is served. The other recipes will vary, some indicate the number of people it will serve, but the ones that don’t are usually for about 8 people. Unless I’m cooking for a large party or dinner, I usually cook for a family of 4 and for most dishes I make sure we have a batch of leftovers.